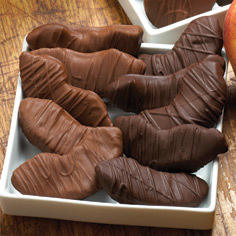 We start with our divine Harvest Pride® Peaches for our Peach & Chocolate Medley. Then we take one third and dip them in velvety milk chocolate. 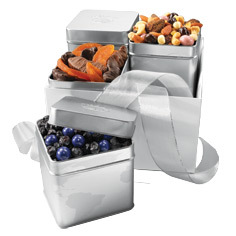 We take another third and dip them in premium dark chocolate, creating this heavenly peach medley. 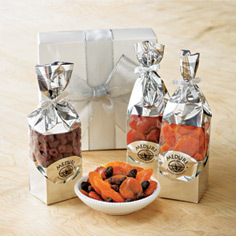 This chocolate covered fruit medley makes for elegant dried fruit gifts. 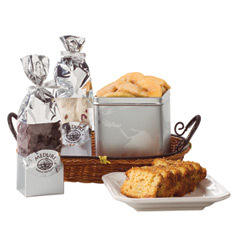 Try them today in our 6 Ounce Sampler Packets.